« The soul spreads itself like a lotus with innumerable petals » (Khalil Gibran). For centuries, the flower has been identified as symbolizing wisdom and spirituality. Lotus textile has unique properties: it is naturally soft, light, breathable and almost wrinkle free. As it doesn’t contain any chemical or toxic product, it is probably the most ecological fabric in the world. Furthermore, it is spinned and woven by hand following ancestral techniques. Most of all, we believe that everyone has the potential to elevate themselves and reach Buddha’s state «without letting the world pollute them, like a lotus in muddy waters» as mentionned in the Lotus Sutra, one of Buddhism’s most important educational texts. Our Business model : Use the best social and environmental practices to produce eco-fabric from vegetal waste. In 2015, Samatoa was one of the 10 prize winners of the “France commits to the South” contest launched by the French President. It rewards socially innovative initiatives based on 5 criteria: social benefit, innovation, capacity for expansion and duplication, outcomes and sustainability, and existing partnerships. 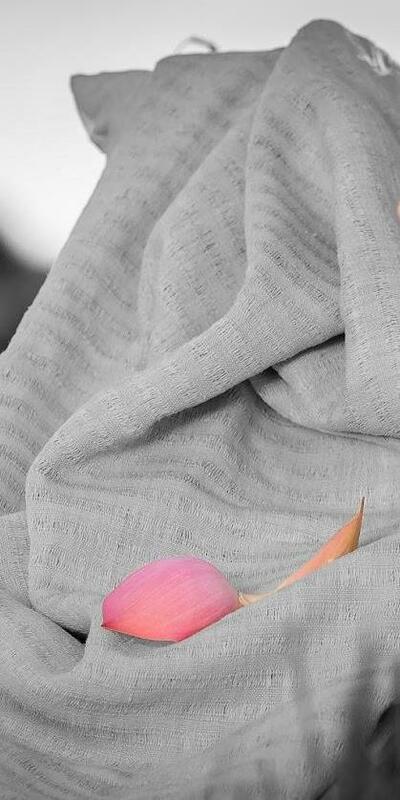 In 2012, we submitted a sarong, made from our unique lotus textiles, to the UNESCO handicraft program and received their Seal of Excellence. You are looking for the most sustainable fabric? We are your Partner of Choice! An exclusive collection of our 7 high-quality textiles made from Lotus and blended with other natural fibers. LET US KNOW HOW WE CAN HELP YOU ? Because we are expert in producing vegetal luxury fabrics, we are happy to collaborate with you in order to develop unique textile and patterns fabrics. 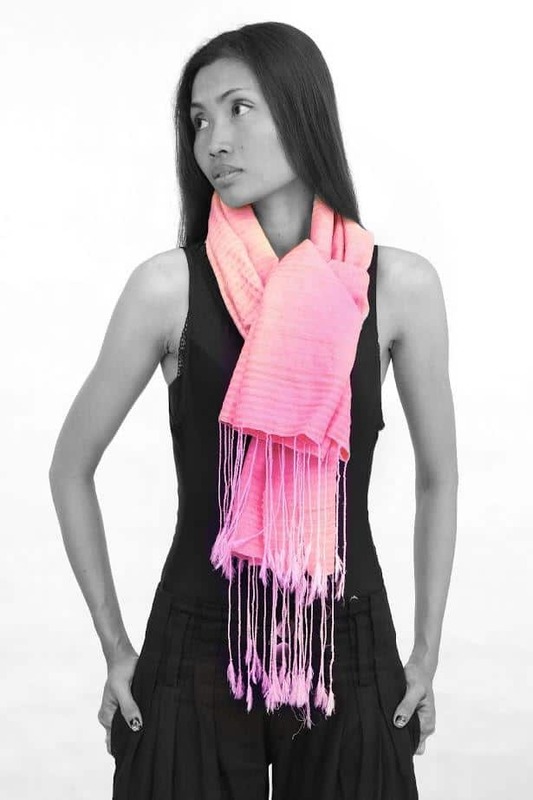 A Rare and Divine Collection of Lotus Scarves. Lotus textile has unique properties: it is naturally soft, light, especially breathable, and almost wrinkle-free. We use the best socially responsible manufacturing techniques. Samatoa wants to continue supporting women’s empowerment in Cambodia and create 500 jobs within 5 years. We will be pleased to answer your requests. We can send you a full set of our range of lotus textiles. Join the community Samatoa, we will share the news !